Three ingredients and minimal time makes this a go-to for fast, weeknight dinners. As a side note, if you haven’t had crispy capers before, you’re going to find yourself making them often and putting them on all the things. Place the capers and oil in a small saucepan on medium heat. Cook, stirring occasionally until the capers puff up. Remove capers with a slotted spoon onto paper towel and set aside. Poor the oil into a large frying pan on medium-high heat. When the oil is hot, pat the cod dry with paper towel and place in the frying pan. Cook for two minutes per side, then remove from heat. 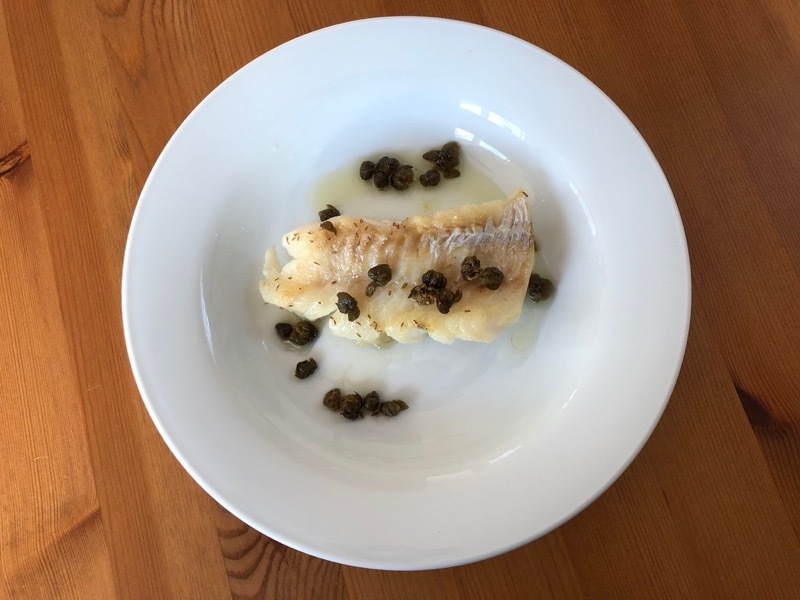 Plate the cod garnished with the capers and cooking oil. Serve immediately.